Only four more days until the election! Whether you are a politco or sick of all the talk, there is definitely an energy in the air. I myself LOVE democracy! I love teaching about civics, the history of our country, and the amazing rights we have as Americans. So of course I love election time! 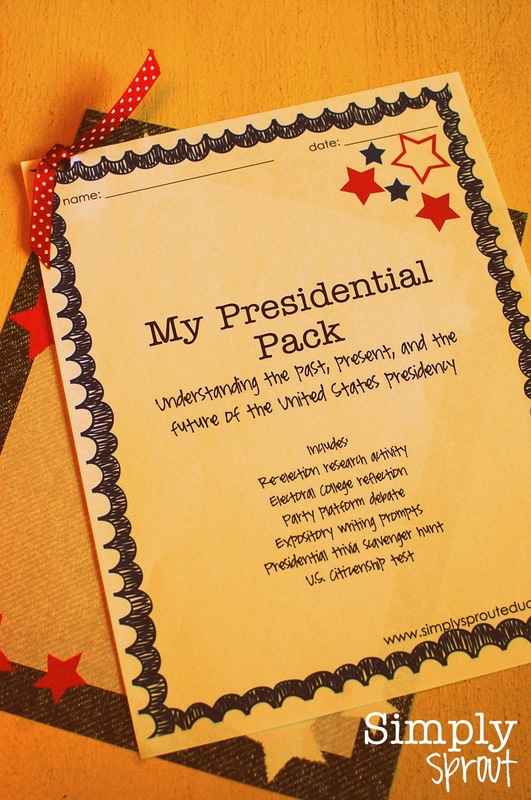 Our Presidential Pack is a great way to bring some civic education into your classroom before, during, or after the election. The pack is not specific to this election, but more geared toward teaching about the presidency as a whole. Students will work to get past presidents re-elected, to understand the Electoral College, political parties and their platforms, and presidential trivia. As I was assembling these for my students today, I remembered that four years ago my students re-elected Richard Nixon. Makes me laugh every time I think of it! You can find this Presidential Pack in my Teachers Pay Teachers store. We hope this helps you bring some election energy into your classroom!